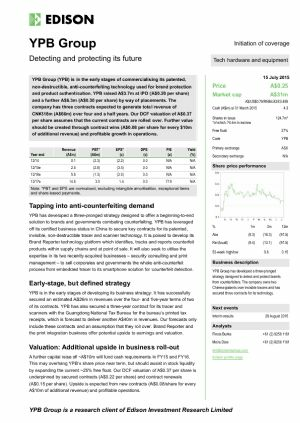 Sydney, June 27, 2018 AEST (ABN Newswire) - Anti-Counterfeit and Customer Engagement solutions company YPB Group Ltd ( ASX:YPB) has signed a three year Master Supply Agreement with Namaste Technologies Inc ( CVE:N) whereby the two Companies will exclusively work together leveraging Namaste's suppliers across the global cannabis industry and particularly those accessing Namaste's large and growing e-commerce customer base. In Canada, Namaste has built a fully integrated e-commerce hub whereby patients and medial cannabis users can be seamlessly connected to doctors and a range of high quality cannabis products, cannabis cultivators (both domestic and international), cannabis brands and cannabis consumption systems. Namaste partners with leading, innovative suppliers wanting to leverage the Namaste brand to access consumers wherever Namaste operates its e-commerce platforms. Namaste's e-commerce sites have over 600,000 monthly visits and a database of 1.5 million users and are growing rapidly. NamasteMD.com is Canada's first ACMPR (Access to Cannabis for Medical Purposes Regulations) compliant telemedicine application and connects patients with medical practitioners. It is a key tool in the company's customer growth ambitions. CannMart Inc., a Namaste subsidiary, is an ACMPR Licensed Producer operating a secure marketplace and fulfilment for a large variety of medical and recreational cannabis sourced from domestic and international producers - it connects patients, consumers and suppliers. Both the medical and recreational cannabis markets are in the early stages of expected rapid growth as prohibitions are being eased globally. Namaste is leading the cannabis consumer land grab with its end-to-end strategies, innovative technologies, global footprint and quality partnerships. Namaste has ambitions to be the Amazon of cannabis and is progressing well on that path. The shared strategy of this supply agreement is to leverage Namaste's market position with the objective that all vendors on its platforms (both Vape and consumables along the entire legal cannabis supply chain) mark every product sold with a YPB ProtectCode aligned to YPB's Connect platform, to enhance trust in the legitimacy and integrity of the industry via certainty of authenticity. Namaste will also achieve a broader view of industry-wide consumer habits as smartphone scan of products to confirm authenticity generates data for analysis via YPB Connect. 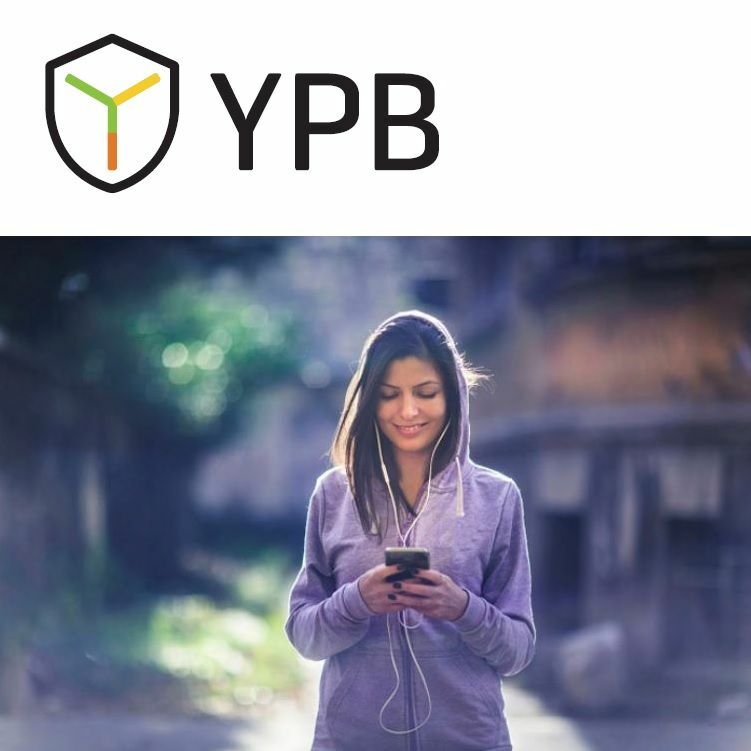 Further, Namaste will use YPB's Secure Supply Chain tracking to ensure visibility of exactly where and when products are within the supply chain. Namaste will also invest US$100k in new YPB shares at $0.035 and will be granted a free one year option to invest a further US$100k exercisable at $0.035. CEO of Namaste Technologies - Sean Dollinger commented: "The ability to demonstrate product authenticity, provenance and supply chain integrity is valuable to all parts of the cannabis ecosystem - cultivators and manufacturers, consumers and regulators. With YPB's solutions, Namaste intends to become the trusted source of authentic cannabis products in all our markets by encouraging all producers to mark their products with YPB's ProtectCode. 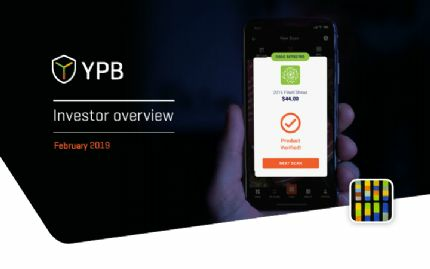 Further, the ability to engage directly with customers who have scanned a YPB protected product to confirm authenticity will serve the rapidly growing cannabis community more effectively. Our investment in YPB equity highlights our intent to maximise this opportunity for the mutual benefit of Namaste and YPB shareholders." 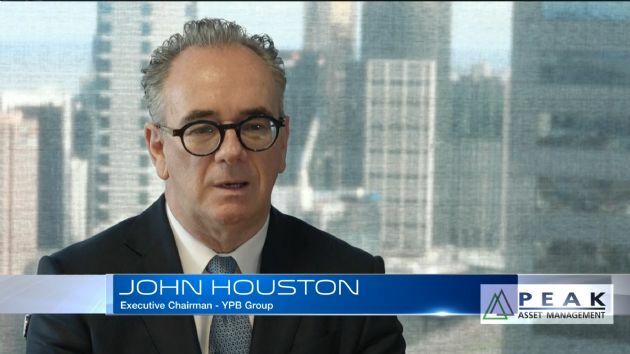 YPB Executive Chairman John Houston said: "Namaste is a smart, rapidly growing company with powerful competitive advantages and a unique central hub position in the legal medical cannabis industry. YPB could not find a better partner with whom to participate in the expected rapid growth of legal cannabis consumption. Namaste's footprint offers YPB exceptional global access with ease of execution at low cost and its adoption of our technology is recognition of the power of product authenticity to build customer trust, relationships and numbers. This is YPB's single biggest opportunity yet and we will work closely with Namaste to ensure conversion to real shareholder wealth. I'm also delighted to welcome Namaste onto our share register and the magnification of our mutual interests that it brings."